Our team of Registered Massage Therapists has experience improving the lives of clients who suffer from a wide variety of conditions, such as chronic or acute pain, injuries, headaches, stiffness, anxiety or depression, among many others. Whether you wish to have a single session or to make massage a regular part of your ongoing health strategy, we are here to help you live a healthier, happier and more relaxed life. Most people approach us with one or two areas of need—stiff neck, sore lower back, shoulder ache, with little idea of what technique will be best. Our therapists are equipped with a broad range of techniques to help you with your needs. Entrepreneur: Owns operates and offers massage therapy at Jockvale Massage Therapy Clinic in Barrhaven (2001 - Present). Designations: Registered Massage Therapist (RMT) since 1997. Education: University of Waterloo, Canadian College of Massage and Hydrotherapy.Columbia and Ontario. Additional courses: Certified in Manual Lymph Drainage (MLD) and Decongestive Therapy (CDT) under Dr. Vodder; also certified in Muscle Energy Technique (MET) and Craniosacral Technique. Point of interest: Member of the Kanata Nepean Bicycling Club, Nepean Sailing Club and Ski Extreme Club. 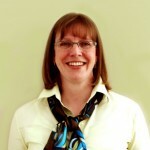 Former member of the Nepean Master Swim Club and Canadian Women's Golf Inc.
Career highlights: Although Irene had initially intended to study medicine, she became fascinated by the field of massage therapy and strongly motivated to pursue this "hands-on" career - helping people recover from injuries, relieve pain, manage stress, and achieve the full benefits of health wellness and relaxation. 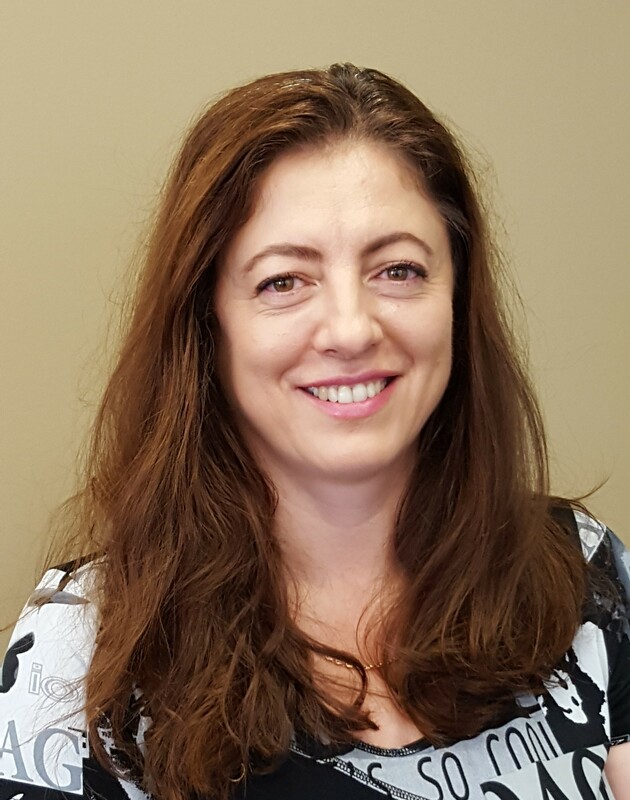 Registered in both Ontario and British Columbia, Irene has prior experience working at a chiropractic centre and providing in-home massage treatments. In 2001, the self-driven entrepreneur opened the Jockvale Massage Therapy Clinic, conveniently located near the Greenbank and Strandherd intersection in South Nepean. Over the years, she has expanded her team of massage therapists and staff to meet the growing needs of the Barrhaven community and greater Ottawa. Skills and specialties: Seeking better ways to help clients manage lower back pain and headaches, Irene studied Muscle Energy Technique (MET). This osteopathic technique is widely used in British Columbia and is now being introduced into Ontario only by skilled, experienced practitioners. Muscle Energy Technique is particularly helpful in repositioning dysfunctional joints and lengthening muscles surrounding the joint. Irene also specializes in treating Lymphedema using Manual Lymph Drainage Techniques and Decongestive Therapy. Lymphedema is a common condition following damage to lymph nodes or removal of lymph nodes seen in breast cancer treatment, but it is also seen in post-surgical and post-traumatic swellings, sports injuries, rheumatoid arthritis and fibromyalgia. 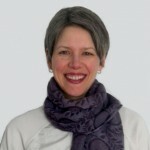 Irene is also an expert at Craniosacral Technique, applying gentle techniques to achieve deeper tissue releases in the structures surrounding the spinal cord and brain. Craniosacral Technique treats a wide range of trauma, pain and stress-related conditions. Other conditions successfully treated: Irene has successfully treated numerous conditions including headaches and migraines, lymphatic congestion including lymphedema, shoulder injuries, ribcage injuries, lower back pain, ankle sprains, heel pain, plantar fasciitis and various sports-related injuries. In addition to treating patients who have cancer, Multiple Sclerosis (MS) and other chronic diseases, she has helped provide relief to individuals with stress-related symptoms, fatigue, anxiety, and fibromyalgia. Irene is also experienced at treating women through all stages of pregnancy and also during the recovery period after labour. Special interests: As an advocate of fitness and exercise—Irene enjoys swimming, biking, golfing, downhill skiing and cross-country skiing—she relates well to patients who come to her with sports-related aches, pains or injuries. Her previous experience providing in-home massage treatments and her entrepreneurial spirit make her especially well-suited to providing massage therapy to busy professionals and people who work from home—whether they operate a home-based business, use it as a second office, or are embracing parenthood full-time. She would also love to work more often with pregnant women and women on maternity leave. Skills and specialties: Earlier in her career, Angie worked as a massage therapist at clinics that also provided physiotherapy, chiropractic care and kinesiology services. Her immersion in these multidisciplinary environments exposed her to a diverse range of clients, conditions, research and treatments. Through the years, she has integrated her background in Swedish massage with her progressive experience with Myofascial Release, Trigger Point Therapy and Neuromuscular Technique (NMT), adapting and combining these treatments for a variety of therapeutic and relaxation needs. Conditions successfully treated: Angie has successfully treated numerous conditions including headache and neck pain, TMJ dysfunction, tendonitis, lower back injuries, chronic body aches and pains, repetitive stress or strain injuries such as carpal tunnel syndrome (CTS), shin splints, and plantar fasciitis (PF). Special interests: Dedicated to exercise, healing and health, body-mind balance and self-care in her own life, Angie relates especially well to others who share the same priorities and goals. For example, she has enjoyed providing massage therapy to athletes at a Ladies Professional Golf Association (LPGA) Golf tournament, at the National Capital Marathon in Ottawa, and to Ottawa Renegade players post game. She has a growing interest working with caregivers (of a loved one who has a life-threatening or life-altering illness) who can benefit from massage therapy to ease stress in their time of self-care. Angie has also volunteered at community events such as Bluesfest and the MS bike tour. Skills and specialties: Carla specializes in treating people who have accumulated tension, stiffness, discomfort or pain caused by repetitive or ongoing activities—from business executives, IT professionals and office staff who sit at a desk all day, to farmers and nurses who perform physically labour-intensive work. Carla mostly integrates Trigger Point techniques into her therapy sessions and is focused on continuing her education to further refine her skills. Conditions successfully treated: Carla has successfully treated headaches and migraines, TMJ, neck stiffness, shoulder pain, and back pain. She has experience treating various chronic pain syndromes such as fibromyalgia, people suffering from whiplash following vehicle-related accidents, individuals diagnosed with an anxiety disorder, and women with pregnancy-related discomforts. Carla has also provided relief for other ailments such as constipation, torticollis, and over-use injuries like tendinitis. Special interests: Given her earlier background in social work, Carla is well-researched, focused on quality of life and well-being, and sensitive to people’s emotions, problems or challenges. Since transitioning to a second career in massage therapy, Carla has grown increasingly fascinated by the complexities of the human body, its power to re-balance and heal itself, and the many benefits of human touch in supporting health and well-being. She approaches massage with a healing intention and is an advocate for the many therapeutic benefits of relaxation. 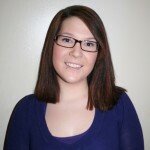 Point of interest: Jessica did a 20-hour co-op placement at Jockvale Massage Therapy Clinic while studying massage therapy at college—and was hired at the clinic upon graduation. Favourite quote: Live, Laugh, Love. 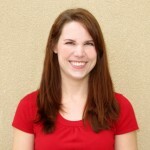 Skills and specialties: Jessica specializes in Trigger Point Therapy and Myofascial Release. She also teaches patients how to properly stretch in order to stimulate blood flow and alleviate tension that has developed over time. Jessica looks forward to expanding her knowledge on an ongoing basis through continuing education courses, including advanced Myofascial Release techniques and correction for postural conditions. Conditions successfully treated: Jessica has successfully treated tension headaches and migraines, TMJ, neck strain, shoulder injuries, back pain and foot problems. She has treated pregnant women experiencing pain or discomfort and also provided pain relief to individuals with fibromyalgia. In addition, Jessica has helped speed up the recovery of sports-related injuries suffered by skiers, snowboarders, rock climbers and runners. Special interests: Jessica is dedicated to health and wellness and felt inspired to pursue a career that would integrate these priorities into her professional life. She had personally experienced the tremendous benefits of massage therapy treatments and decided to commit herself to helping others recover and heal properly in a customer-focused, friendly environment. Today, Jessica enjoys helping people of all ages and activity levels achieve a state of relaxation, reduce muscle tension and get relief from chronic pain. Skills and specialties: Kelly specializes in treating stiffness, tension, aches and pain in the shoulders and neck that may lead to headaches, commonly caused by poor posture while sitting at a workstation. She performs a variety of massage techniques such as Trigger Point Therapy designed to relieve stress, increase mobility, treat muscular pain and improve physical comfort. Kelly is certified in Manual Lymph Drainage (MLD), a gentle technique that aims to stimulate the lymphatic system, stimulate the immune system, and help remove swelling, congestion and stagnation from within the body. She is experienced at using MLD to treat edema caused by damage to lymph nodes or lymph vessels due to surgery, radiation/chemotherapy (cancer), accidents and injuries. She is also certified in Combined Decongestive Therapy (CDT) and is dedicated to expanding her knowledge in all of these areas through ongoing skills development. Conditions successfully treated: Kelly has treated numerous conditions including chronic pain, Thoracic Outlet Syndrome, Carpal Tunnel Syndrome, aches and pains (all body areas – neck, shoulders, upper back, mid back, lower back, arms, elbows, wrists, hands, fingers, glutes, hips, legs, knees, ankles, feet), headaches, decreased range of motion in joints, frozen shoulder, muscle spasms, sprains, strains, tendinitis, constipation, sciatica, piriformis syndrome, and Sacroiliac (SI) joint dysfunction. 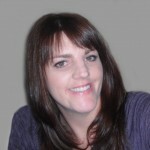 She is also experienced at providing treatments for pregnant women and individuals with fibromyalgia. Special interests: Kelly’s motivation to pursue a career in massage therapy was strengthened after observing the very positive effect that massage treatments had on a friend who was recovering from an injury caused by an accident. Since becoming a registered massage therapist, Kelly is most passionate about helping people find relief from chronic pain and supporting them during their recovery journeys. She is sensitive to her patients’ physical and emotional struggles, day-to-day challenges, and efforts to improve their comfort, health and overall quality of life. Point of interest:As an RMT student, Laura spent time helping adults receiving physical rehabilitation, children with learning disabilities and physical disabilities such as cerebral palsy, senior citizens in palliative care,athletes and many more. Conditions successfully treated:Laura commonly treats adults and children experiencing neck, shoulder and back stiffness and pain, headaches, disc herniation, lumbar spine herniation, plantar fasciitis,Patellofemoral Pain Syndrome (PFPS), carpal tunnel syndrome, pinched nerves, Thoracic Outlet Syndrome,and many more. She also uses massage techniques to help alleviate and manage ongoing pain as a result of chronic stress or anxiety,Chronic Obstructive Pulmonary Disease(COPD),Multiple Sclerosis (MS), subacute and chronic concussions, chronic bronchitis, seizure disorders and stroke. Special interest: Laura has a particular interest in treating people with temporomandibular joint disorders (TMJ), which relates to conditions affecting the area around the jaw. Chewing, speaking or clenching can irritate the articulating disc and/or aggravate the surrounding muscles leading to stiffness, soreness, or even misalignment of the jaw. TMJ is often overlooked as the possible cause of common conditions such as headaches, toothaches and neck pain. Proper treatment of TMJ can lead to significant pain relief in the jaw and throughout the body. Laura decided to become an RMT at the age of six. She remembers lightly massaging her grandfather’s hands in an effort to relievehis arthritis. Witnessing him work with his tools with more ease or being more active as a result of her care made her realize the many benefits of massage. Years later, Laura continues to enjoy helping people live happier, more active lives. Most people approach us with one or two areas of need, such as a stiff neck, sore lower back or shoulder ache, with little idea of what technique will be best. At Jockvale Massage &Physo, our therapists are equipped with a broad range of techniques to help you with your needs. 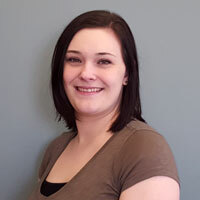 Skills and specialties: Kristle has extensive experience treating people with injuries and often works closely with physiotherapists to design an effective treatment strategy. She treats people with chronic conditions such asParkinson’s Disease or Multiple Sclerosis (MS), as well as people with diabetes andhigh blood pressure. She also works with individuals who have undergone a heart transplant, or those recovering from heart surgery or a stroke. Although working with the senior population has been rewarding, Kristle equally enjoys giving the benefits of massage to pregnant women and children. Conditions successfully treated: Kristle uses a technique called Soft Tissue Release (STR) to successfully treat many shoulder conditions, including strains, sprains and impingements, headaches and migraines related to muscle tension, and postural imbalances such as a shortening of the pectoral muscle. STR involves applying gentle pressure on the muscle during movement in order to obtain a lengthening or stretch. Clients tend to have success with STR, with less discomfort than the traditional myofascial release. Special interests: Since she was a child, Kristle has had a strong desire to help people and animals in need. She began her career as a veterinary technician. On a volunteer sea turtle protection project in Costa Rica, she realized her desire to help could be transformed into human touch and decided to expand her warmth of caring to humans through massage therapy. She wholeheartedly believes that everyone can benefit from massage therapy in the form of treatment or relaxation. At Jockvale Massage & Physio, our therapists have been trained by stringent standards laid out by the College of Massage Therapists of Ontario. After completing a curriculum of 2,200 hours and successfully completing both written and practical exams, the College issues their registration. All our massage therapists are Registered Massage Therapists. Most people approach us with one or two areas of need, such as a stiff neck, sore lower back or shoulder ache, with little idea of what technique will be best. Our therapists are equipped with a broad range of techniques to help you with your needs. Point of interest: Experience in therapeutic treatments and sports injuries. 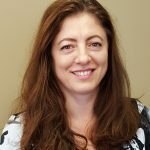 Skills and specialties: Tatiana combines her experience as a Registered Massage Therapist, Reiki Master and soon-to-be-certified Osteopath (September 2019) to provide a highly personalized, holistic approach to helping her clients rebalance, recover and feel better. Once she earns her second license, clients with coverage for osteopathic treatments in their extended health care insurance policies will be able to submit a claim—above and beyond submitting a claim for massage therapy today, for which she is already licensed. Tatiana is focused on encouraging and educating clients on how to strengthen the connection between mind and body—whether it’s learning to recognize and listen to the language of pain or deepening an awareness and commitment to self-care. Tatiana has treated people of all ages: infants, toddlers, youths, teenagers, adults and seniors. She has experience working in health care centres, physiotherapy clinics, salons and spas. Earlier in her career, she worked as a therapeutic ultrasound technician, diagnostic electrodes acupuncturist, bio laser technician, and Ayurvedic spa technician. Conditions successfully treated: Tatiana’s summary of qualifications is substantial, enabling her to support many different kinds of healing journeys such as those associated with: migraine/tension headache, back pain, sciatica, frozen shoulder, TMJ, joint pain, injuries from sports or vehicle accidents, repetitive strain injuries, stress and anxiety disorders, pre-natal and post-natal symptoms and conditions, and holistic support for chronic and critical illnesses such as fibromyalgia and cancer. She is also experienced in Swedish Massage techniques, Cranial Osteopathy, Counterstraintechnique, Facilitated Positional Release technique, Oscillatory technique, Muscle Energy technique, Global Listening Evaluation Assessment, Thai Massage Level One, Indie Head Massage (Scalp, Neck and Facial), Trigger Point Release, Proprioceptive Neuromuscular Facilitation/Active Inhibition Techniques (PNF), Hydro Therapy, Manual Lymph Drainage (MLD), Low Grade Joint Play Technique, Myofascial Release Technique (MFS) Advanced Level, Visceral Manipulation Using MFS on Lower Back Pain, Muscle Energy (Structural Therapy Direct Technique) Level One, MVA Treatment Planning, WSIB Treatment, Infant Massage Treatment, Geriatric Massage Treatment, Torticollis Release Treatment, Patella Femoral Syndrome Treatment, Sacroiliac Mobilization / Treatment, and more. Special interests: As a fourth-generation health and healing advocate, Tatiana is passionate about empowering and inspiring her clients to feel better and heal better. As practical as she is intuitive, Tatiana takes the time to explain how and why various healing techniques are effective and what more clients can do to optimize results. Beyond her commitment to continuously expand her skill set and qualifications, Tatiana enjoys balancing her professional life with the health benefits of meditation, yoga and folk dancing.